As it happens so often, the plan changed. The plan was to go from ‘Packaging’ right to the obvious sequel ‘Automated Packaging’. And I am working on that book. However, since AutoPkg uses property list files for the recipes, I needed to introduce property list file formats and all the tools, quirks and caveats. So the sidenote on property lists grew into an appendix. And it kept growing. 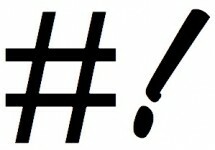 Then I thought it would be a waste to explain property list files but not talk about preference files. And once you explained preference files, you should also introduce configuration profiles, especially custom profiles. 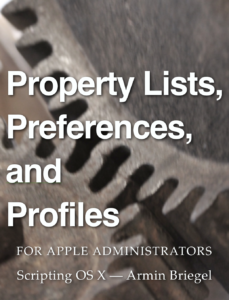 Profiles are property lists after all. So, here we are, not a sequel, but a ‘sidequel’. I will of course continue writing ‘Automated Packaging’ once this book is published. And there will be updates to the iBook (like with ‘Packaging’) as I find more typos and learn more in future. As with ‘Packaging’ the main target audience is either an administrator who is new to the Mac platform or a Mac user who is new to Mac administration and management. However, the proofreaders have all told me, there are many nuggets and pieces of new information for experienced admins as well. Until then you can download the first chapter on property list file formats from the iBooks Store! You can also pre-order and get the book automatically, as as soon as I press the ‘Publish’ button! Overall, writing these books is a great experience. It is a great chance to dive deeply into a topic. It is also a great chance to give back to the community that is amazingly generous in sharing knowledge and experience. There are many more topics on my list that I would like to write books on. A good thing someone covered that thoroughly. Thanks a lot Armin! Pre-Ordered, thanks for covering this.